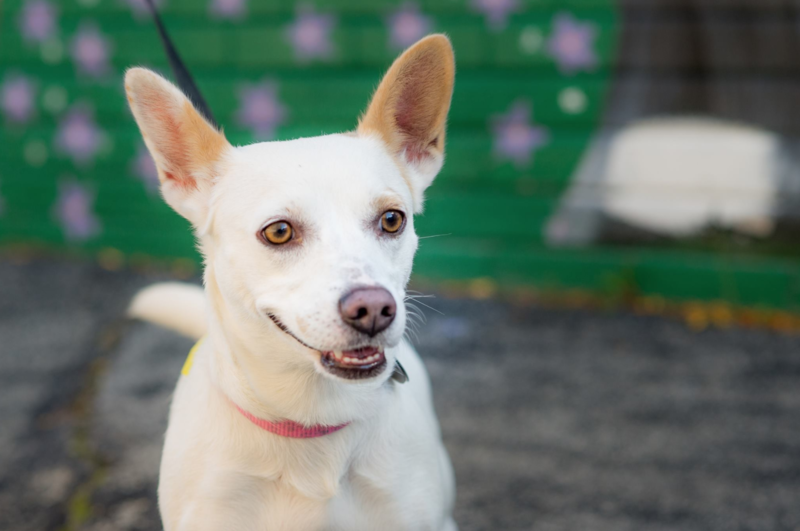 June is a gorgeous cream Rat Terrier/Chihuahua mix. She weighs about 20lbs and is of a stockier disposition. When something has peaked her interest her hackles go up but they extend all the way down to her tail; it looks like some awesome mohawk. She is good with other dogs her size, loves to be held and loved on. She also does well with cats!